Black The Fall is developed by Sand Sailor Studio. We also had the chance to talk with the developers in Gamescom 2016 and we also previewed the game some months later. 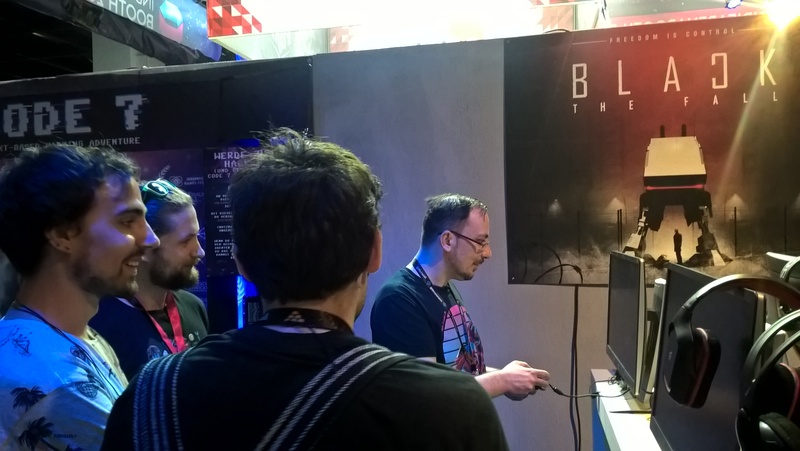 We had the chance to play the newest build of the game at Gamescom 2017 and to talk with a couple of the developers that were present at the Indie Arena Booth in order to showcase the game. 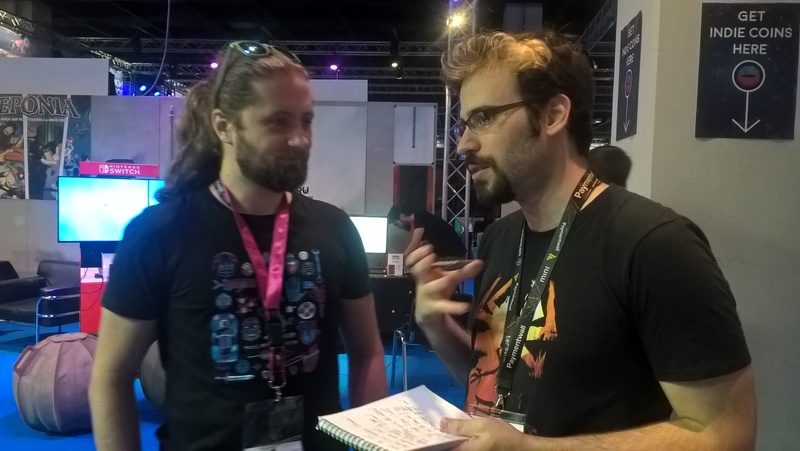 We had a chat with Cristian Diaconescu who explained a lot of things about why the team was present for yet another year at Gamescom, to showcase their game. First and most importantly, Cristian emphasized on the fact that they had brought a much more streamlined version of the demo of the game, so that people can enjoy it faster and better. Not only is the difficulty easier but the controls feel much easier to learn, making the first hands-on experience for pretty much anyone something to be remembered. The old demo apparently lasted too long and did not have that good of a learning curve for enw players. The studio behind the game was founded back in 2014 and is at the moment comprised of about eight people. Starting with a three man team, Cristian explained that they had to expand the team as time went by and the scope of the game expanded too. “The subject of the game is communism, something that me and my girlfriend are very much interested in,” Cristian told us, continuing to explain how a lot of what is happening at the moment in his country (Romania) has to do a lot with what happened in the past and there is pretty much no way to escape this reality. He even told us that his faculty project was basically based on communism, therefore allowing him to expand even more and go deeper on the effects that it had on all sorts of things. That gave him and his team better insight when it came to developing Black The Fall for sure. Having ported the game to Xbox One and PlayStation 4, Cristian explained “if anyone is going to be porting their game to consoles, I would say, just take it step by step and everything will work out.” He also told us as to how surprised the team was to see that their first submission passed on the first go. You can check out Black the Fall on Steam, its website and on Facebook.